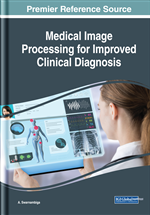 Although image retrieval have been frequently proposed for use in medical image management, only a few systems have been developed specifically for medical images Manjunath (1996); Shyu (1999); Smelders (2000); Shao Hong (2005); Dimitrovski (2015) and Van kitanovski (2017). Techniques applied for huge image based databases for exact clinical diagnosis with medical justification in this research is provided. A brief survey is given in Table 1. 1 1999 Comaniciu D Image guided decision support system for pathology (a) Representation by color. 2 2003 Gletsos M A computer aided diagnostic system to characterize CT focal liver lesions: design and optimization of a neural network classifier (a) Representation by gray scale.